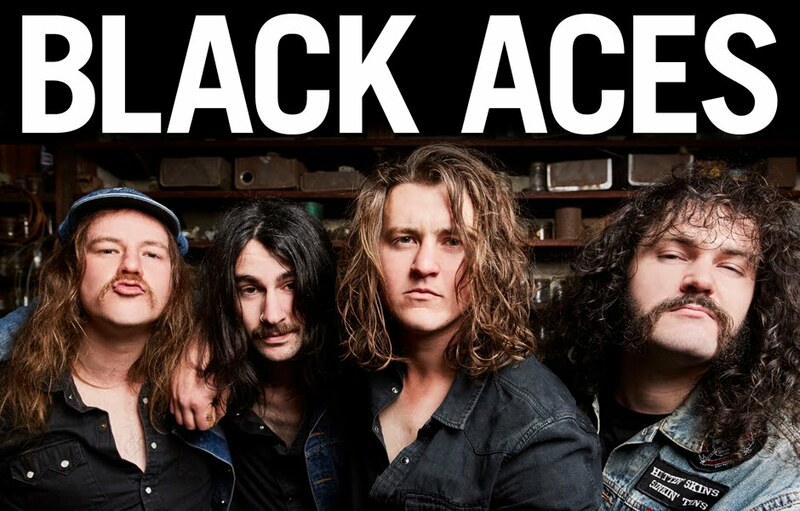 Black Aces are hitting the road for a string of shows throughout the summer kicking off with shows in Melbourne, Sydney and Albury. Saturday January 19th see's them return to the much loved Cherry Bar with support from former Ace' Rhys Collier's new band Ramblin' Gold. 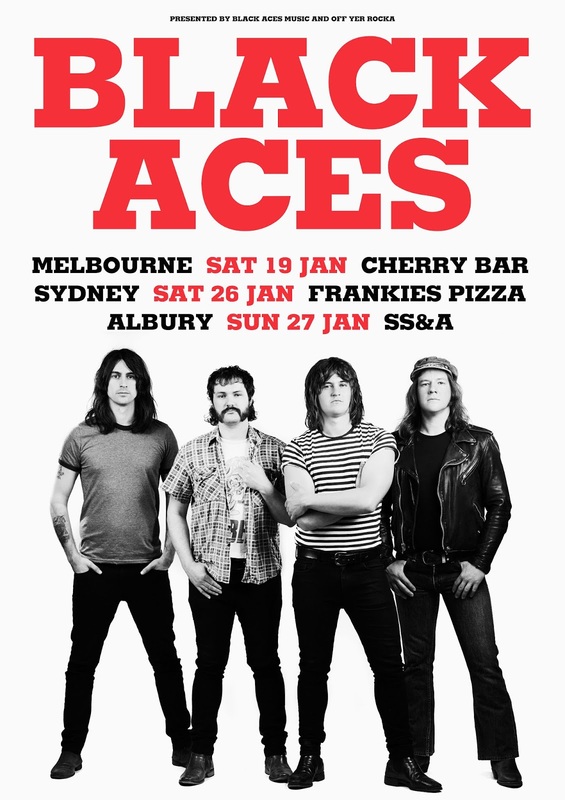 The following weekend see's them hit favourite Sydney venue Frankie's Pizza for a special Australia Day show. 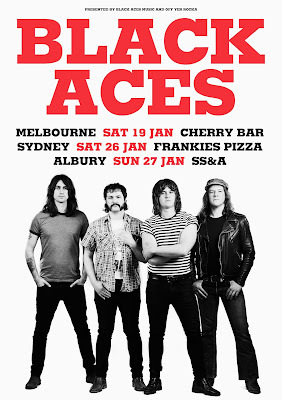 The band then trek back down the Hume to Albury to close out the Australia day long weekend at the SS&A Club alongside Dallas Crane.